Polymer films now play an essential and growing role in sensors. 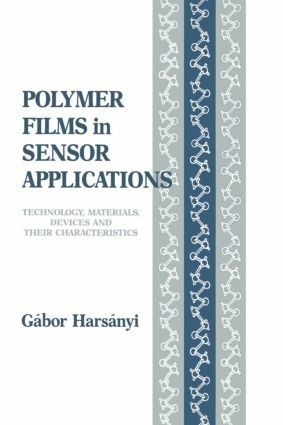 Recent advances in polymer science and film preparation have made polymer films useful, practical and economical in a wide range of sensor designs and applications. Further, the continuing miniaturization of microelectronics favors the use of polymer thin films in sensors. This new book is the first comprehensive presentation of this technology. It covers both scientific fundamentals and practical engineering aspects. Included is an extensive survey of all types of sensors and applications. The very detailed table of contents in the next pages provides full information on content. More than 200 schematics illustrate a wide variety of sensor structures and their function.